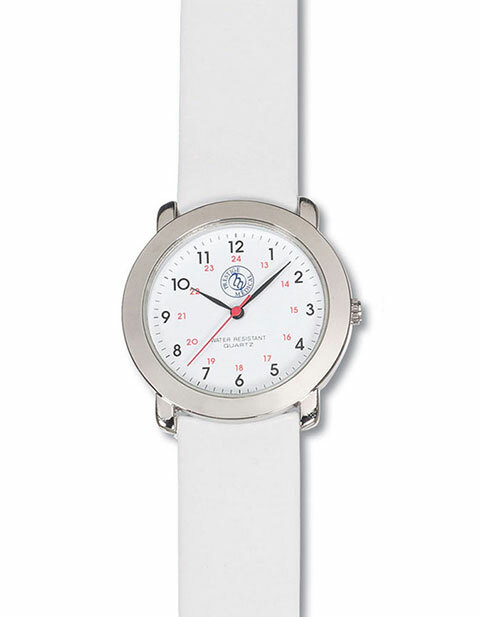 Sophisticated and simple, this genuine white leather band watch by Prestige is specially design for medical professionals. It features a classic chrome case and glass lens. 24 hour face with step second hands, quartz movements and a water resistant case is also available.